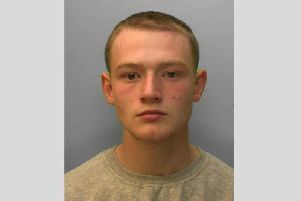 Police are keen to speak to the man pictured above in connection with a till burglary at Three Bridges station. The British Transport Police say that shortly after 3.20am on March 2, a man left a train service and headed towards the main concourse. He then broke into the Coffee Zone shop and stole cash from the tills. Officers would like to speak to the man shown in the CCTV image as he may have information which could help the investigation. Information can be passed to BTP by sending a text to 61016 or by calling 0800 40 50 40 quoting reference 57 of 02/03/2018.